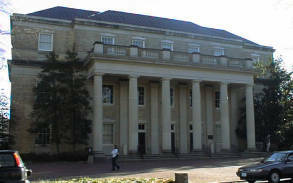 Memorial Hall was the first significant building project after the university reopened in 1875. It was dedicated to the memory of President David Swain and the fallen Confederate alumni. Tablets naming the war’s known victims adorned its walls. Philadelphia architect Samuel Sloan designed it as a large auditorium for commencements and assemblies, but faculty and students detested its poor acoustics. Sloan’s design included medieval buttresses and Gothic arches, the first of their kind on campus. 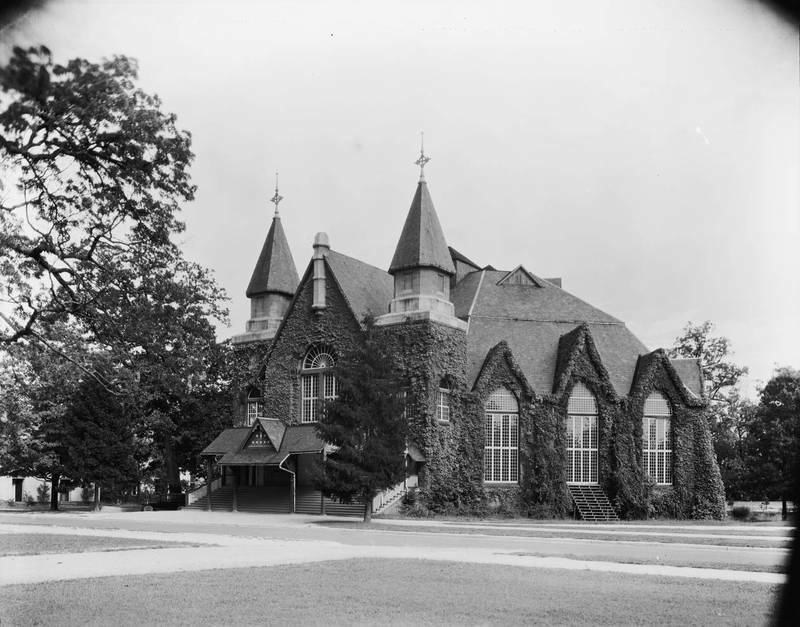 In the late 1920s, when the university discovered its timbers had rotted, Memorial Hall was razed and rebuilt in a more traditional style. The university completed an extensive interior renovation in 2005.